Neoen Australia managing director Franck Woitiez, whose turbines at Hornsdale wind farm shut down as part of the system trigger, said the statewide blackout was caused by the storm. With his wind farm now back in full operation, he cautioned against a kneejerk response to the black out. “Battery storage has a huge part to play in our system going forward and we need to keep viewing renewables as part of our energy mix,” Mr Woitiez said. For the record, battery storage plays no part in South Australia’s power supply; nor does the grid-scale storage of electricity play a part in the delivery of electricity anywhere in the world. 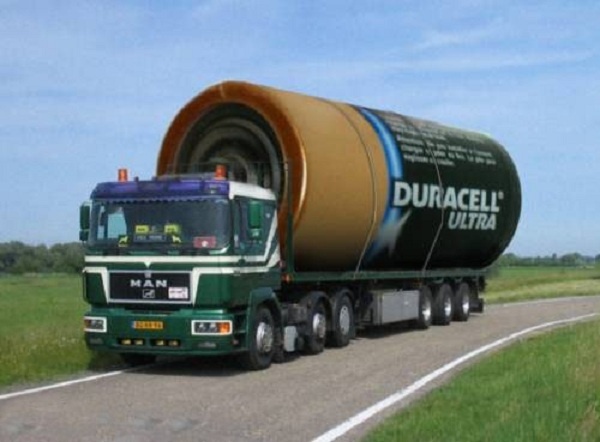 Wind industry hucksters, like Franck Woitiez, continue to chant the ‘battery technology is rapidly improving’ mantra, as if truckloads of giant batteries will soon magically rain down from heaven; and, thereby, save the wind industry from its imminent and inevitable demise. What occurred in South Australia in November 2015 and July and September this year, and what will continue to occur, has alerted all and sundry to the fact that wind power is a heavily subsidised vanity project; an utterly meaningless power source, which destroys and divides peaceful rural communities, wrecks property values and slaughters millions of birds and bats with impunity. Australia’s so-called ‘wind power capital’, South Australia is, rather than running on perfectly benevolent breezes, in fact heavily reliant upon coal-fired power, delivered from Victoria’s Latrobe Valley via a pair of interconnectors: Heywood in the south-east and Murraylink in the Riverland. Already suffering from spiralling retail power prices, routine load shedding and mass blackouts whenever wind power output collapses on a total and totally unpredictable basis, with the predicted closure of Victoria’s 1,600MW Hazelwood plant, South Australians can expect plenty more of the same in future. Which brings us back to the guff about batteries promising wind industry salvation. Not only is there NO grid-scale storage of electricity anywhere in the world, the bulk battery storage of wind or solar power sits in the same category as turning lead into gold and the ever elusive perpetual motion machine: an enticingly lucrative but unachievable myth. If only we could store electricity many of our energy problems would be over, but we are miles away from cracking that. If only we could store electricity! Then we could make it in the summer sun and on windy days, for use on cold winter nights. All right, let’s do a simple calculation. 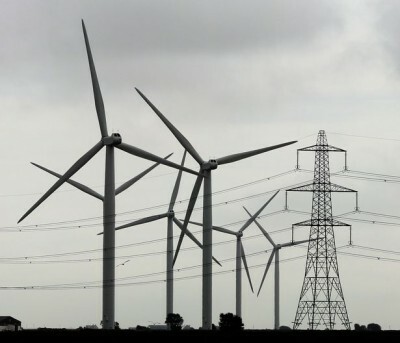 Britain uses about a terawatt-hour of electricity during an average winter day. Yes, but we would not use car batteries; we would use bigger units, and more efficient and newer lithium-ion batteries. All right, let’s buy Tesla Powerwalls instead. We would need 160 million of them to cover a day’s consumption, or 3.3 billion to cover a week when we’ve electrified heat and transport too. They retail for $3000, so that’s about 8 trillion pounds ($12.8 trillion). For a system that would only rarely be needed in full. Maybe we could get a discount. You begin to see why nuclear and gas make sense. But even if you only stored enough juice to turn our existing fleet of wind turbines into reliables — able to provide baseload electricity on demand — the cost would still be huge. The late David MacKay, former chief scientist at the Department of Energy and Climate Change, in his invaluable book Sustainable Energy — Without the Hot Air, reckoned that about a terawatt-hour of storage would be needed to turn 33 gigawatts of wind capacity into a reliable source. That implies that we would need 400 gigawatt-hours of batteries to turn today’s 14GW of wind capacity into 4GW of electricity on demand: which would cost north of 130 billion pounds ($209bn) today. Wind farms are touted as an alternative energy sources. Perhaps, since we are all going to drive electric cars, we can store electricity in the batteries of our electric cars: plug them in and the grid could draw down the power during times of peak use when the wind does not blow. Well, if all Britain’s cars were electric they would store less than a day’s worth of power — and they would mostly be plugged in at night when demand for electricity is at its lowest. Besides, I don’t imagine people would be too happy to wake up and find their car’s flat because it was not very windy last night. There is a further problem. Any energy technology must generate more energy over its lifetime than was used in its manufacture and operation, by a ratio of at least seven, otherwise it is a waste of money. This is known as energy return on energy invested. The oil coming out of an oil well, or the electricity from a wind turbine must be much more than will be used in drilling the next well or making the next turbine: because it has to provide useful energy to the economy too, and to provide people with the wherewithal to build and repair machines and structures. It’s believed that medieval agrarian economies teetered close to the brink of this energy return threshold, getting not much more energy out of a windmill or food from a cornfield than had gone into it in terms of muscle power. By this measure, solar power is actually negative and makes no sense at all in cloudy Britain, and nor does growing biofuels, since the tractors and chemicals use up about as much energy as is produced from the crop. According to a German study, wind power is viable by this measure, but not if you factor in the energy needed to store electricity to make it reliable, at which point it fails the test — and that’s assuming pumped water-storage, which is much cheaper than batteries. You could deduce from all this not that it’s unaffordable but that there’s going to be huge, if not limitless, demand for batteries, especially if they get more efficient. Mr Musk’s investors are betting big on batteries. His Nevada gigafactory, built as a joint venture with Panasonic, is expected to cut the cost of batteries by 30 per cent and will produce 50 gigawatt-hours of batteries a year by 2018, enough to power Britain for 20 minutes if we electrify heat and transport. Other giga-scale battery factories have already opened in Asia. There is no doubt that production of batteries has increased dramatically and batteries are going to be playing a big part in our lives, even without trying to store grid electricity. And no, we are not going to run out of lithium. According to the Los Angeles Times, Mr Musk has had $US4.9 billion ($6.45bn) of subsidies for his three main ventures: Tesla Motors, SolarCity (now bought by Tesla) and Space Exploration Technologies. He has yet to turn a profit and the losses are growing: some analysts think Tesla is burning through $US1bn a quarter. American taxpayers had better hope they have not been investing in a pyramid scheme. Enron, too, used to boast about its green credentials. Here in Britain, you get a bribe of up to 4,500 pounds from the government if you buy an electric car, so it’s no wonder that motor manufacturers are rushing to open factories. In terms of noise and pollution, electric vehicles clearly make a lot of sense. However, their cost is still huge, and their Achilles heel is the long time it takes to recharge. That’s a problem on the way to being solved, but not without risk: there seems to be evidence that it is rapid charging that increases the risk of internal shorting and this may be one of the problems within the Samsung batteries, leading to melting, oxygen release and explosion. If I kick it, does it explode like a Samsung 7? It might help Josh Frydenberg and his boss better inform themselves if they were to read this and a few other objective, factual articles about the true prospects of affordable, grid level energy storage being available any time soon – rather than relying on a diet of “magic mushroom” nonsense served up by bureaucratic yes-men and wind industry spinmeisters? If a company as big as Boeing can only design a solution around the battery fire problems in its Dreamliner aircraft, rather than actually solving the cause of the battery fires, then you know that we are still a long way off any bulk base load battery storage solutions. I will most certainly be objecting to any future rollout of lithium grid scale battery storage solutions in my home! Another point, as Victoria sits by and watches Hazelwood close, China has announced a 20% increase in coal by 2020. As for the toxic “mining” of rare earth metals to make these mega-batteries. And if so, cue the outrage from the “greens” who detest ‘mining’ – yeah right. Hypocrites. At 5.37 pm Brian Johnston wrote, ‘this is a brilliant site’ – I agree. 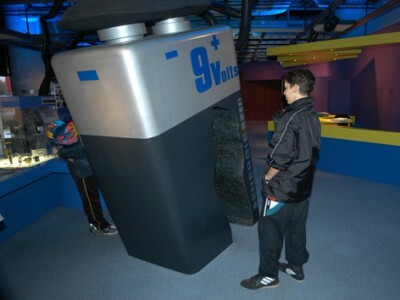 Talking batteries, look at the size of the battery in the motor vehicle and its storage capacity it is very limited before it is FLAT. You can only store DC electricity successfully, not AC. A battery only lasts about 4 years and they are not cheap. The windweasels believe in the tooth fairy if the can store power in a battery sucessfully. I am anti windmills and solar. Lets imagine a Windmill that produces at its maximum – a ‘100’ whatever. The power to heat the blades is 20% of that and extra is needed to heat oil etc. Let’s say 25% of the maximum is required to run the windmill itself, leaving 75% to go into the grid. However, when the wind drops and the windmill is at 50% production, it is still demanding 25% to run itself, it now only puts 25% into the grid. When the windmill is down to 25% of capacity it is worthless. So the question remains, how much does a windmill have to push into the grid to be economically viable and of course over what time? As I see it, the windmill would not spend enough of its time at high capacity to make it worthwhile. Building 3 or 4 times the amount of windmills is not the answer either. Taking repairs and maintenance into account makes things even worse. I cannot understand how people have bought into these junk machines! Please work with true environmental organizations such as Californians for Green Nuclear Power, Environmental Progress, and Mothers for Nuclear to support the continued safe operation of emission-free nuclear power. STT supports nuclear power, Australia has no nuclear plants, and yet is the largest uranium exporter in the world. Our political class are short sighted cowards, too gutless to sell nuclear power, but happy to throw $60 bn in subsidies to wind power.